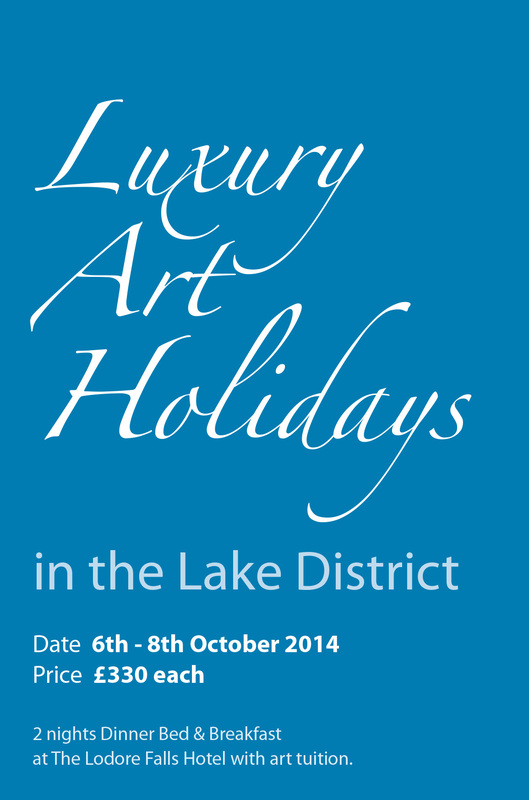 Unleash your inner artist during a 2 night dinner, bed & breakfast luxury art break at the Lodore Falls Hotel. Set in the heart of the Lake District you can enjoy stunning scenery and get creative in landscapes that have inspired generations of artists. This special art break is run by professional pencil and watercolour artist Fiona Peart. Fiona is a professional artist, painting full time, and her paintings are in private collections around the world. As well as teaching and demonstrating in a range of water-soluble media, Fiona is a regular contributor to Leisure Painter magazine and a popular author. Her 7th watercolour book ‘Drawing and Painting using Water-soluble Media’ is available in June 2014.